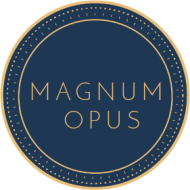 Magnum Opus's Vision is to transform leaders to create authentic teams & authentic organizations. Revolution comes from within. Our exclusive program like "Authentic Leadership Development", "Mindfulness In Leadership" and "Be The One" help create a revolution from within through introspection about our leadership purpose in organizations. So far, leadership models of the 1980s and 90s have been about skill and talent based program that ignore a vital aspect like self-awareness - a fundamental step for achieving success. Magnum conducts classes in Leadership Training and Soft Skills Training. It is located in Defence Colony, Delhi. It takes Regular Classes- at the Institute.